Well, kind of annoyed too. 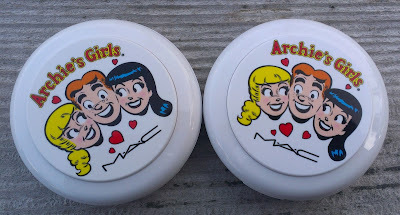 I've been able to resist MAC's ridiculous limited collections for the better part of two years now, but they've hit me with the Marilyn Monroe and Archie Girls Collections within six months of each other. Hopefully, they'll go back to making collections that don't tug at my nostalgic heart strings again. Anyway, I indulged in a few of the products from the collection as a belated birthday gift to myself. I may be another year old, but this collection brings me back to my childhood so I feel plenty young at heart. If you've seen swatches of the collection, you'll see that the Betty products feature coral/peachy/natural shades since Betty's the girl next door and the Veronica products are a little more vampy and eye-catching with purple shadows and red lip colors. I'll wear any makeup shades, but you know I'm sucker for all things peachy and coral so I did mostly pick up items from the Betty portion of the collection. I did always like Betty better as a kid, though -- probably just because we were both blondes. But I did pick up a couple of Veronica items -- bad girls need love too, right? I'll start with the lip products. I had to get the Betty Bright Lipstick because it's a pinky-coral shade. I also went a little out of my comfort zone and picked up Oh, Oh, Oh, also from the Betty Collection, which MAC describes as a sheer brown plum. The Betty Lipglass in Summer Sweetheart was another must-have for me -- a light peach shade without any shimmer that goes perfectly over the countless peach lipstick I have in my collection. Betty Bright is a satin finish and is a lovely coral shade with plenty of pink thrown in to keep it from being too orange. 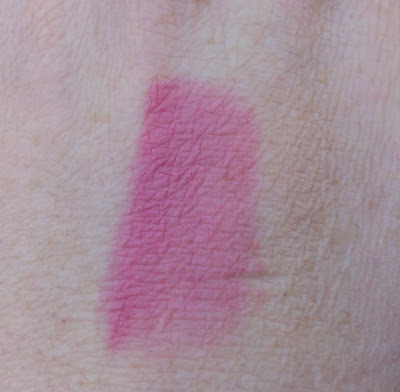 It's fairly bright, so I think I'll get more use out of it in the summer -- but I would point out that I am super fair and don't particularly like bright lipsticks on myself, and this shade is actually quite flattering on me. I do find it a little bit drying, but not so much that it would keep me from wearing it. 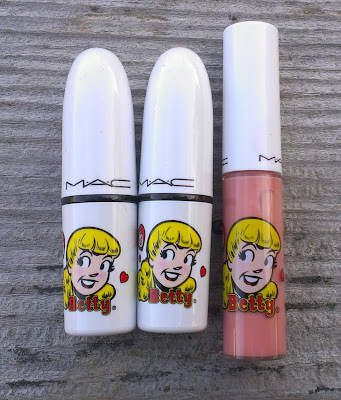 Betty Bright appears to be sold out everywhere online (MAC, Nordstrom's, Macy's, etc.) 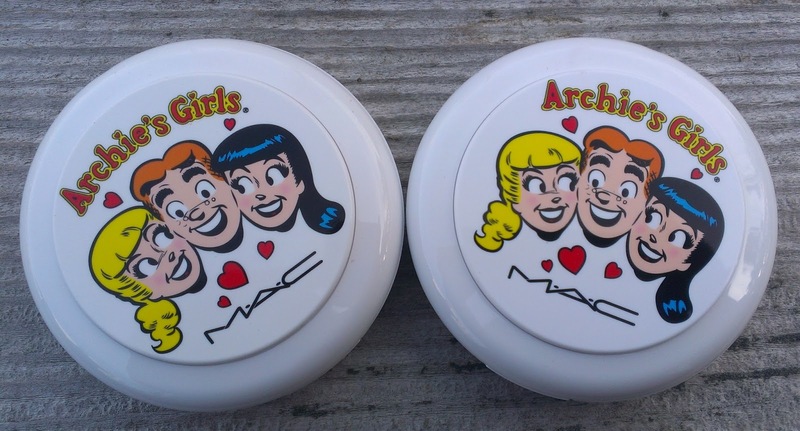 so if you want to pick it up, check your local MAC counter or store on February 7th. Oh, Oh, Oh was the real surprise for me. It looks so dark in the tube, and MAC scared me a bit with the whole "brown" thing. I don't read any brown in it. 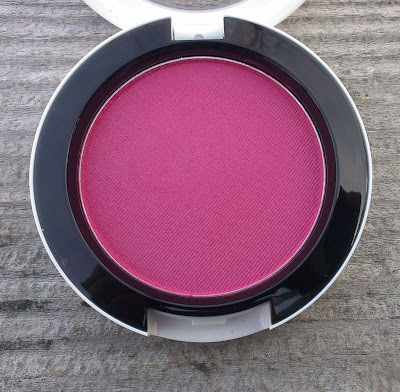 It actually comes across as a purple-y berry shade with maybe a slight hint of red on my lips -- and I seriously love it. It's unlike any shade that I have in my collection and because it's sheer and not too dark, it's perfect for year round wear. Summer Sweetheart is exactly what I wanted it to be. 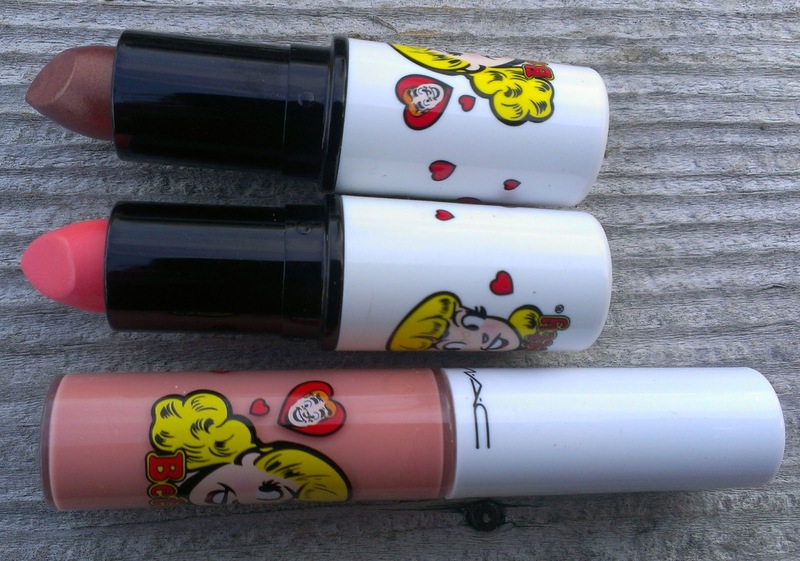 A nice light peach gloss to wear over peachy lipsticks. It also looks nice all on its own for a natural look. 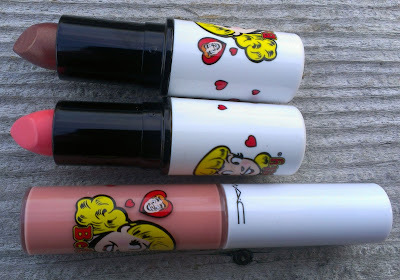 Yes, the MAC Lipglass formula is pretty sticky, but I don't mind it because it lasts a good three or four hours on my lips. I'll deal with stickiness for that kind of staying power. I also picked up the Betty Caramel Sundae Eye Shadow Quad, which features Cheryl Chic, a light frosty pink; Dreammaker, a light frosty yellow; Caramel Sundae, a midtone tan satin; and Showstopper, a matte dark brown. 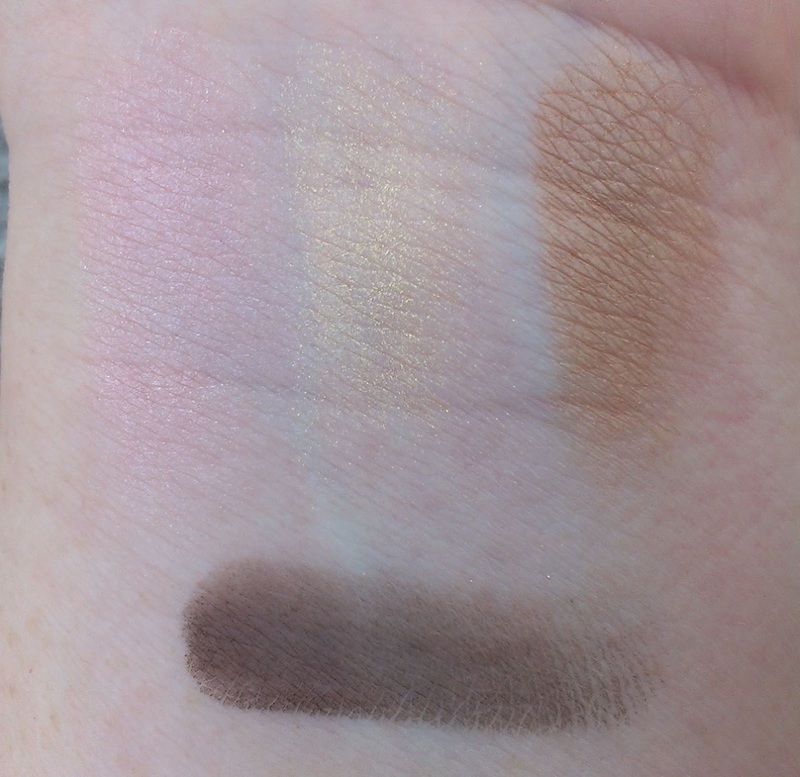 As you can probably tell from the swatches, the quad's shadows aren't up to the same standard as MAC's single eyeshadows - that always seems to happen with these limited edition shadow palettes. Caramel Sundae and Showstopper are actually quite nice -- good pigmentation and easy to work with. It's the two lighter shades, Cheryl Chic and Dreammaker, that are a challenge. Both are pretty sheer so they don't give a very strong look on the eye. Fortunately, I've found ways to work with them. Dreammaker makes an ideal inner corner highlight -- I actually prefer sheer shadows for this spot because I find if my inner corner highlight is too pigmented or frosty, it can look really stark and unnatural. Cheryl Chic works well as a lid color as long as you lay down a pink cream shadow first - I've been using Maybelline's new Color Tattoo in Inked in Pink, which is perfect, but I bet the MAC Paint Pot in Let's Skate would work well too if you have that. I don't think this item is a must-have, though. 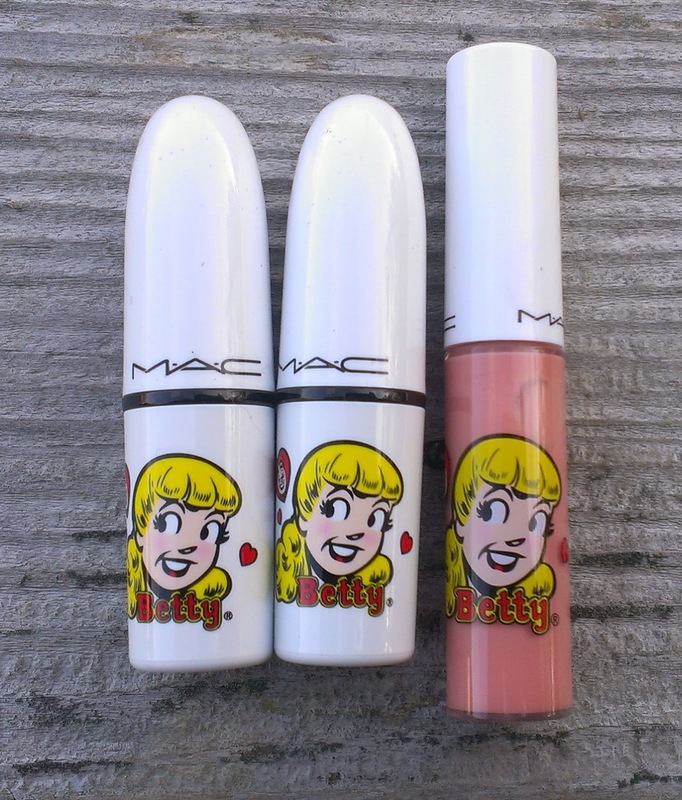 Unless you absolutely love the packaging - which I think MAC did a really great job with - I'd skip this one. I have become such a blush whore in the last year that I couldn't resist picking up one of those from the collection too, and while everything in me was crying out for Betty Powder Blush in Cream Soda, I resisted since the last two blushes I picked up from MAC limited edition collections were peachy tones. 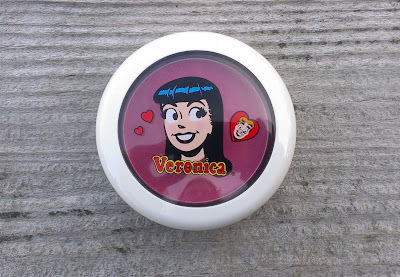 Instead, I went with the Veronica Powder Blush in Prom Princess. It is a fairly dark, bright violet pink with a satin finish. It is very pigmented, so with fair skin like mine, I definitely have to use a light hand to apply. It gives a really lovely flush to the cheeks when blended properly, though. I like this one a lot. Prom Princess is sold out at MAC online, but as of this writing, it was still available on the Nordstrom and Macy's websites. 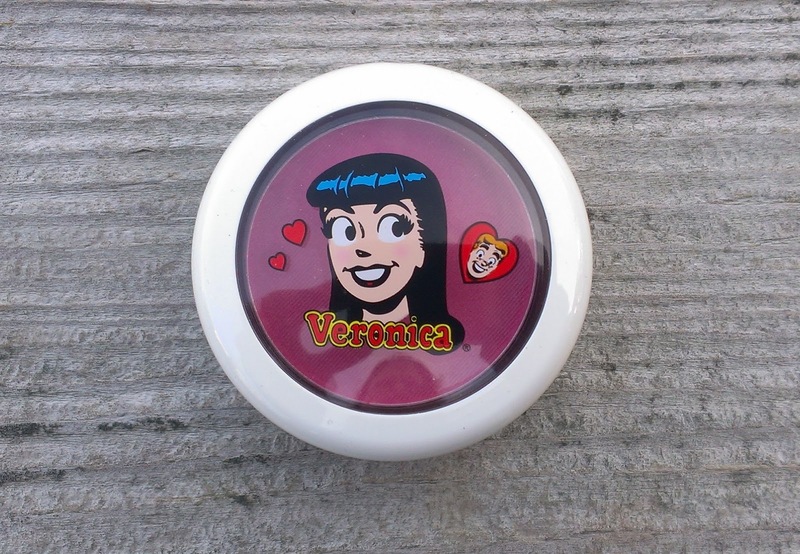 When it came to the Pearlmatte Face Powders, I couldn't choose between Betty and Veronica so I went with both - the Betty Pearlmatte Powder in Flatter Me and the Veronica Pearlmatte Powder in Veronica's Blush. 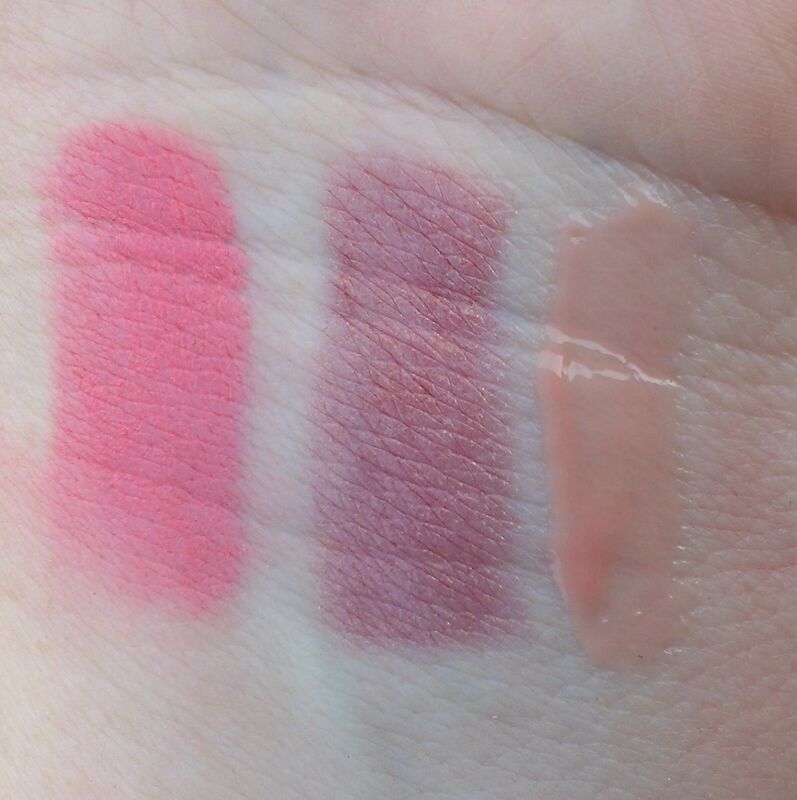 Flatter Me features a golden peach base with bright coral hearts, while Veronica's Blush has a silver pink base with bright pink hearts. 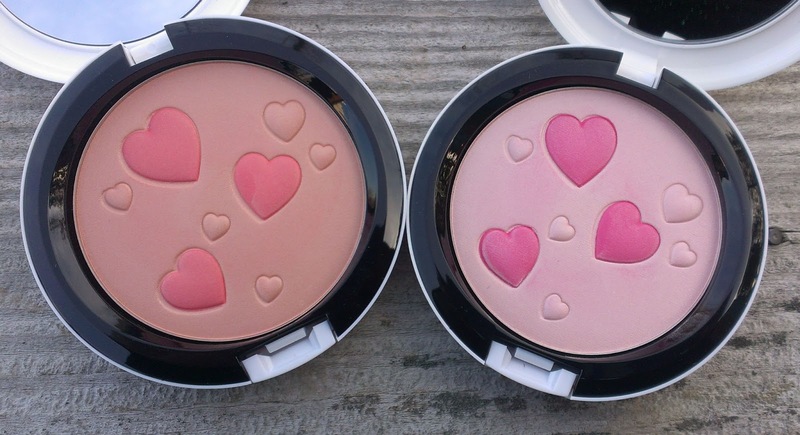 MAC suggests using these powders as a blush/highlighter or even an eyeshadow. 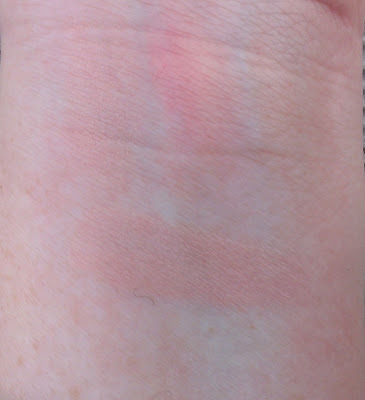 As you can probably tell from the swatches, you really get the best results by swirling both shades of the powder together. 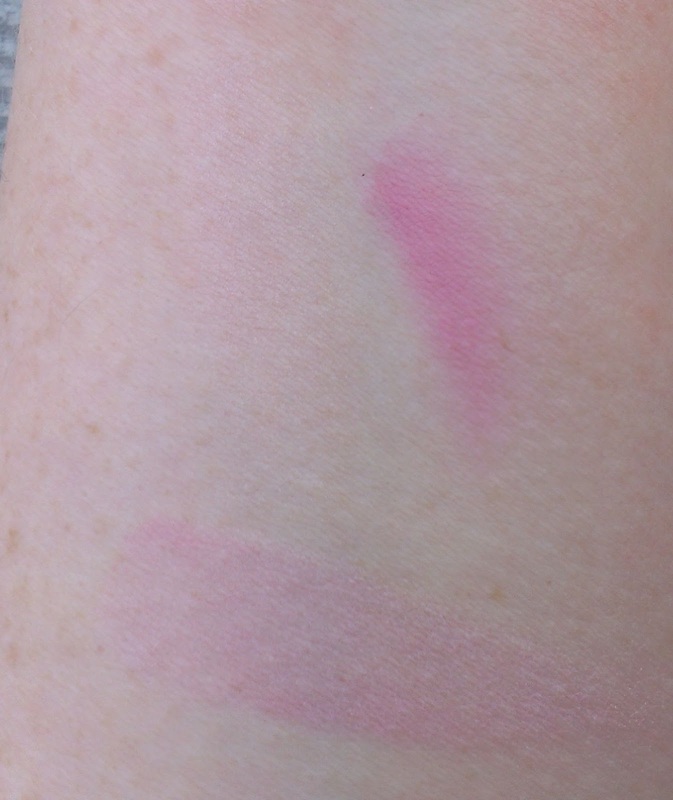 My skin is so pale that these work well a combo blush and highlighter. If your skin is darker, I think they could work as highlighters. I also like using Flatter Me as an eyeshadow -- it's a lovely lid color if you've got blue eyes. All in all, I think this is a fun collection. There are some really pretty colors here - Oh, Oh, Oh Lipstick and the Prom Princess Blush are probably my favorites - and if you're an Archie Comics fan, you'll love the packaging. If you're not an Archie fan, though, I'm not sure anything in the collection is an absolute must-have. You may want to check out the collection in person at your local MAC counter or store to see if any of the colors/products are up your alley. 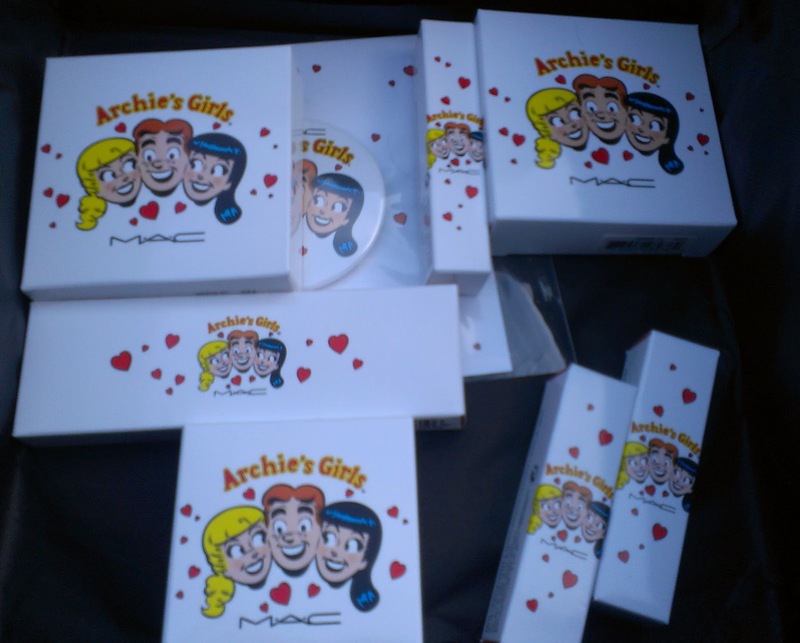 Did you pick up anything from the Archie Collection? Are a Betty or Veronica fan? I Love Betty the most in this collection. so cute! i cant wait to try this!